Marie Silva has worked at Excelsior since June 2001, as a facilitator and lead special education facilitator. Marie worked as an Academy chair and Special Education Coordinator for several years, she is now the Special Education Coordinator supporting all six Excelsior sites. Marie holds a Bachelor’s Degree in Social Science and a Master’s Degree in Special Education. 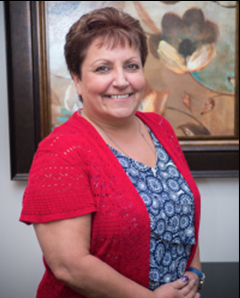 Marie Silva has over 25 years experience working in Special Education. The State of California requires that we follow up with our IEP students one year after graduating or leaving public school. Please let us know what post-secondary program your participating in by filling out this quick Survey.Thank you for your time and if you have any questions, contact us at 760.245.4262.